Do you have to book your visit online? Online bookings are not compulsory but we strongly recommend that you reserve your tickets. You may buy your ticket directly at reception at the Grotte Chauvet 2 Ardèche subject to availability. The guided tour of the cavern lasts 50 minutes. Your visit to the Aurignacian Gallery without a guide lasts at least 45 minutes. You may visit this centre before or after your visit to the cavern. Is the site accessible for visitors with reduced mobility, wheelchairs or strollers? The entire site (including the cavern) is accessible by wheelchair and stroller. More informations here.  Show your Grotte Chauvet 2 Ardèche ticket and save 1 € on the Grand Site of Aven d’Orgnac ticket (0,5 € per child). This offer is valid for 7 days following your visit to the Cavern and not available on the Aven d’Orgnac online ticket sales website. Show your Grotte Chauvet 2 Ardèche ticket and save 1 € on the Pont du Gard ticket. Offer valid within 7 days after visiting the Grotte Chauvet 2 Ardèche. Not available on the Pont du Gard online ticket booking. Our prices are those displayed. No further reduction is possible. Do we need to book tickets for children who have free entry? Children less than 10 years of age are considered as visitors in their own right. Therefore, you need to book a ticket for all children within your group. Tickets are non-transferrable. They are also non-refundable beyond the14-day statutory cancellation period. Animals are not allowed anywhere on the site. What temperature is it inside the Cavern? The temperature inside the Cavern is about 16°C. In summer, we advise you to bring a jacket or a sweater to avoid thermal shock when entering the Cavern.